For the rest of the movie, Affleck tends to shower attention on himself, though his performance isn’t showy or obnoxious. 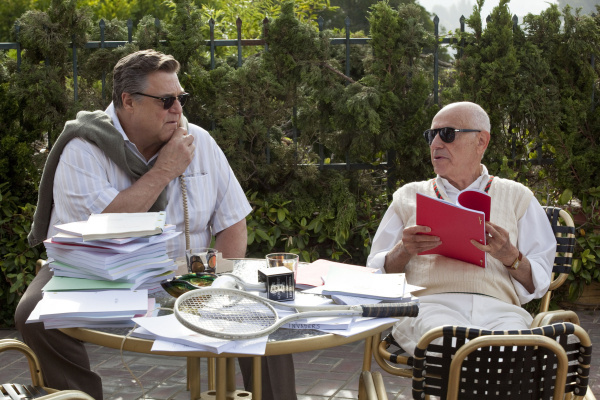 Bryan Cranston and John Goodman show up in brief, underwritten parts, but the only one who is allowed to steal the show is Alan Arkin’s cranky movie producer. 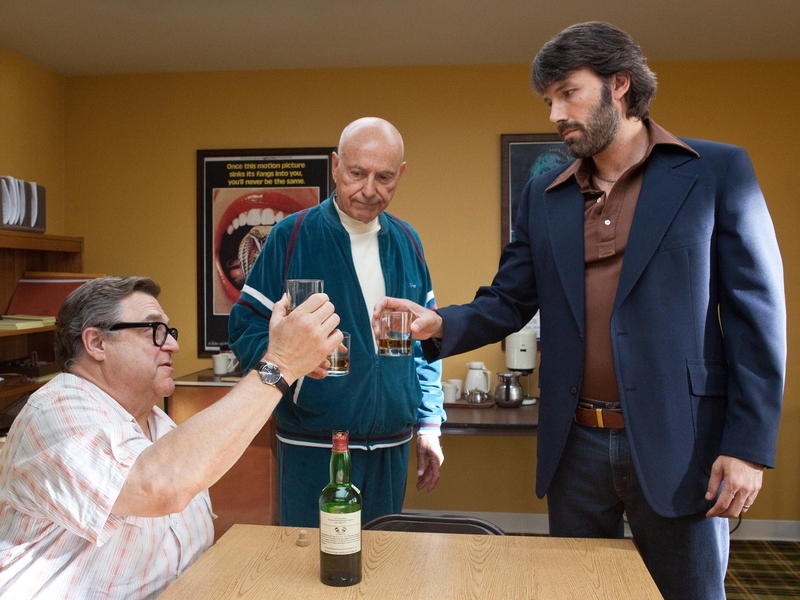 When Tony Mendez (Affleck) pitches the idea of rescuing six embassy employees who escaped the hostage crisis by having them pretend to be a movie crew, Arkin’s Lester Siegel gives him a cynic’s guide to Hollywood. Tony Mendez is a fairly typical career type. He’s separated from his wife, he’s endlessly reassuring and determined and he always appears exhausted. The way Affleck approaches the era and the material recalls Zodiac because he avoids glamorizing most of the characters and the plot and finds suspense in Chris Terrio’s script without inventing it. The only verbally clever characters are the Hollywood types, which may be the movie’s biggest stretch. Affleck largely avoids pigeonholing any one group in the movie, most crucially the Iranians. Argo has the immediacy of being shot on location, especially in a tense fake location tour in a market that quickly escalates, but it never overtly vilifies the culture like so many evening news broadcasts. It is not a penetrating window into it like last year’s A Separation, because Affleck attempting that wouldn’t fall under the bounds of artistic license. Though the Argo mission was declassified by President Clinton in 1997, the movie was made now when Iran is present almost daily in the news. Affleck’s smart handling of the material prevents it from being some sort of American propaganda. Mendez is a man who exfiltrates people from dangerous situations. He’s not James Bond or Jason Bourne, but a smart, semi-pudgy spy with intelligence and a hell of a lot of courage. This entry was posted in Best Picture Nominee, Reviews and tagged Argo, Ben Affleck, Best Picture Nominee, Best Supporting Actor nominee, Iran, Iranian hostage crisis by matterspamer. Bookmark the permalink.